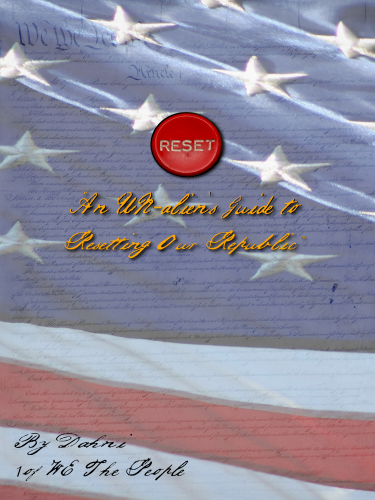 I have written a book called RESET “An UN-alien’s Guide to Resetting Our Republic” Book 1: Concealed & Revealed. I NEED your help in reading and reviewing this work. EVERYONE IN THIS COUNTRY should read this book! Does truth exist? Are there any truths in existent? 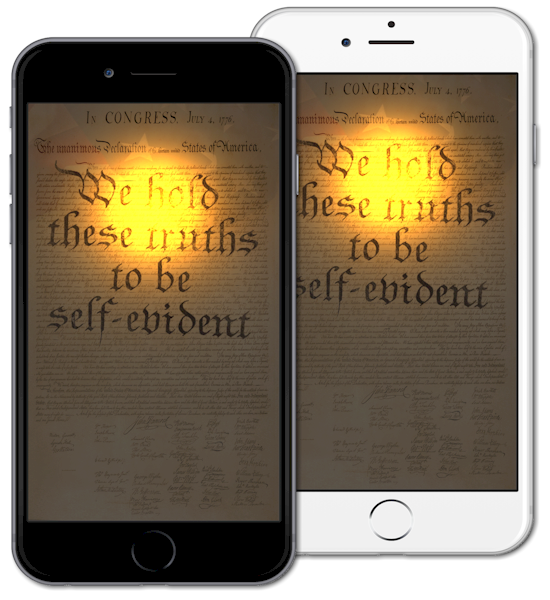 Are there any such things as self-evident truths? It is one thing to hold these truths, but quite another to be ‘held’ by these truths. Any writer and that which is written in its final form have without question, evolved from one or a series of ‘rough drafts’ until the final version is committed. Even then, revisions and such things as the 2nd, 3rd; 4th editions and so forth are published later. Sometimes this is due to the corrections of inaccuracies of fact, spelling mistakes or just typographical errors missed inadvertently by a proofreader. Sometimes new editions contain updated or enhanced information. Sometimes new editions may simply have an updated cover or something as simple. Often new editions are a publisher’s attempt to sell more works to the same buyers or to expose the work to a new generation or to a new group of readers. There are many reasons for new editions as things and even facts can change. But is not truth or truths considered to be universal? If something is true today for you and I, will it also not be true for anyone in the world – anytime in the past, the present and the future? Facts change. As I write this, someplace in this world it is probably raining. As I write this from my office in my hometown, it is not raining. Both of these facts can change in time. But a truth is like when clouds are sufficient and moisture within them heavy enough, gravity will cause rain to fall. This does not depend on race, creed, and color of skin, intellect or socio-economic situation. It is what it is. Perhaps this explanation is too simplistic or not simple enough, but it will have to suffice. But facts change and truth or truths are universal and for lack of a better word, they are eternal – have always existed and will always exist, with or without us. Each of us holds certain truths, they may be mere facts, but to us that hold them, they are truths or our truths. My pocket at the present holds a wallet. It could by my choice, remain where it is. I could decide to not use any money, credit card, anything or any information contained in my wallet. In this sense, I would hold a wallet, but I am not held by the contents of that wallet nor have any benefit of those contents. This is what I mean here in holding the truth and being held by the truth. To be held by something, to be committed to a goal or cause, logic necessitates that WE must first hold the truth. To benefit from the contents of my wallet, I must first have a wallet with contents. The hands of knowledge, WE must lay hold upon it. The eyes of our understanding, WE must be open to it. Then WE may choose to be HELD by what WE hold or not. WE begin here with the first word, “WE.” Who are the WE referred to in this document? From the first line it is written, “When in the Course of human events it becomes necessary for one people…” In following the context, “one people” relates to WE and the 56 signers of this document which were representatives of their perspective colony of the original thirteen. 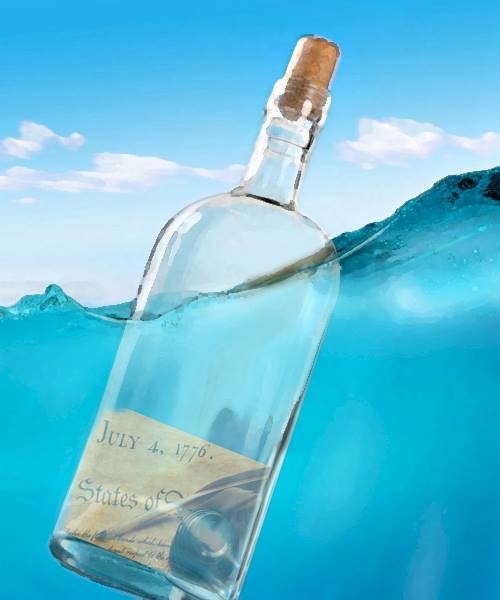 A representative represents a certain number of people and collectively, the 56 signers represented the majority of the people of those original 13 colonies. Therefore, “one people,” 56 signers and the people they represented are equal to each other. In mathematics, things equal to the same thing are equal to each other. “WE” were and WE are, WE the People. “To secure these rights, Governments are instituted.” The powers of governments are “instituted among men” [an all inclusive noun] and these governments “derive” or receive their power “from the consent of the governed” or WE the people. These are the Truths WE Hold. WE hold them in memory in some part from perhaps long ago when WE heard or read the words in school. WE hold them in the archives of our nation’s capitol. WE hold them in our hands as WE reach for them as a copy rolled up at some souvenir store. WE hold them in our eyes when WE read the words. WE hold them in our ears when WE hear them. WE hold these truths like the picture above. It is like the negative of an old 35mm photograph, WE recognize them when we see or hear the words, but the details; the color; the vibrancy, and life of the words are virtually unknown. And the negative is fading. Those that are empowered, those that have the knowledge, and those that have the understanding or are able to affect and/or influence change, are responsible to DO IT! Our rights, Our “inalienable rights” are not much more than a wallet in the pocket or a purse on the arm, unless they are opened and used to Our own benefit and for that of others. WE indeed, “Hold These Truths,” but are we HELD by these truths? 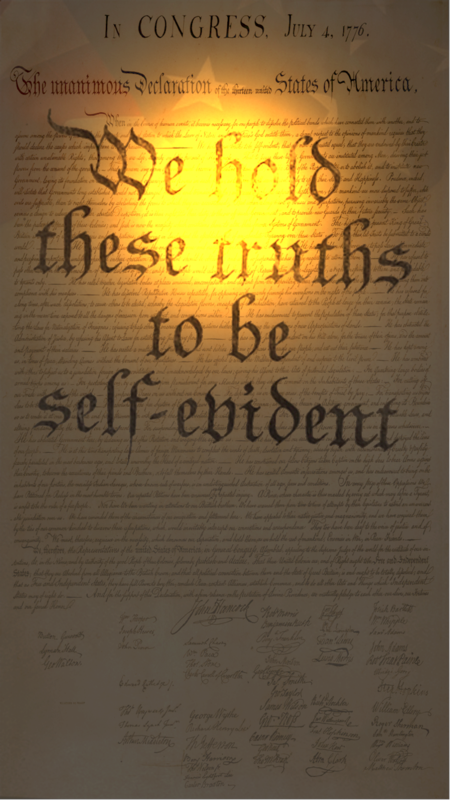 For ourselves, our posterity and for the future of all people everywhere, for “Life, Liberty and the pursuit of Happiness,” it is our right; it is our duty and it is our responsibility to “Hold These Truths” and to be HELD by them! And it is Our responsibility to secure these rights for those, all those that cannot secure them for themselves!